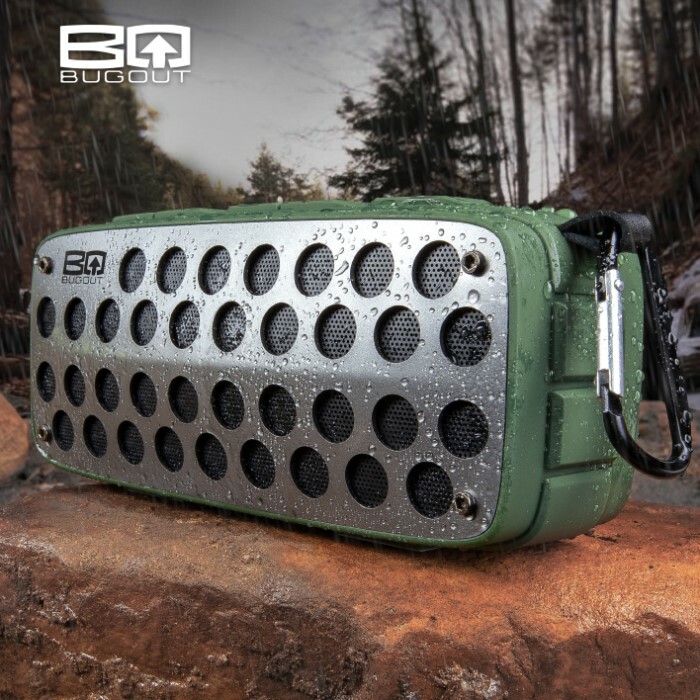 BugOut Water-Resistant Wireless Speaker - Tough And Durable TPU Housing, USB Rechargeable, FM Radio, SD Card Slot, AUX Input, Carabiner | BUDK.com - Knives & Swords At The Lowest Prices! Our BugOut Water-Resistant Wireless Speaker is absolutely phenomenal for any outdoors activity where you want to hear your tunes. 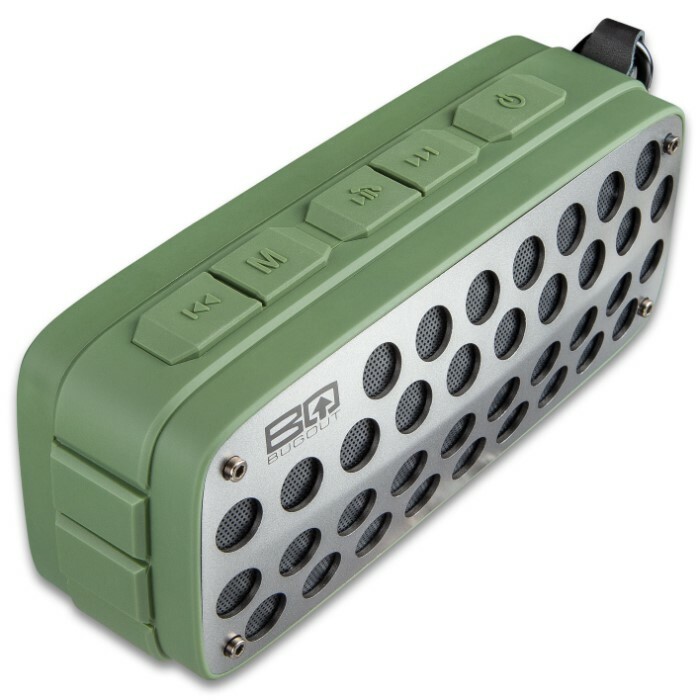 The indoor/outdoor speaker has five modes of play including wireless, USB drive, SD/TF card, FM radio and AUX input. If you have two speakers paired, you also have the option to use the TWS play mode. Another great feature is that when your mobile phone is paired with the speaker, you can take advantage of the convenient handsfree calling mode. 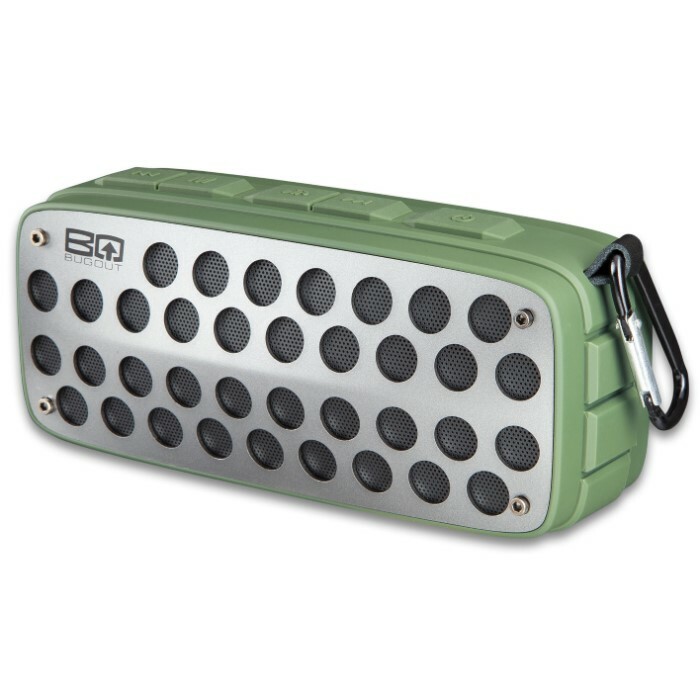 The water-resistant speaker housing is constructed of tough and durable TPU and metal with the buttons crafted of pliable TPR. 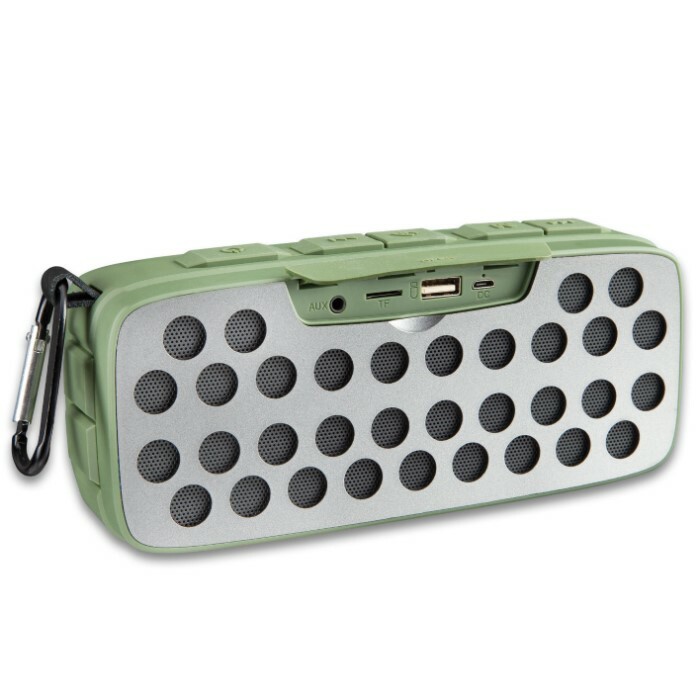 The built-in rechargeable lithium battery can be charged via a micro USB cable and, with a full charge, plays up to five hours. 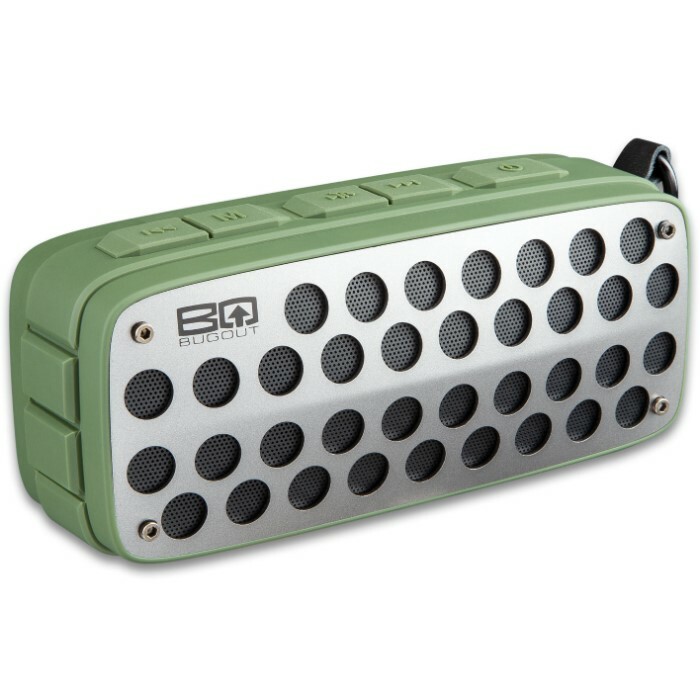 The portable 7 1/2”x 3 1/4” speaker has a wireless distance of up to 10 meters with an FM frequency range of 87-108 MHz. 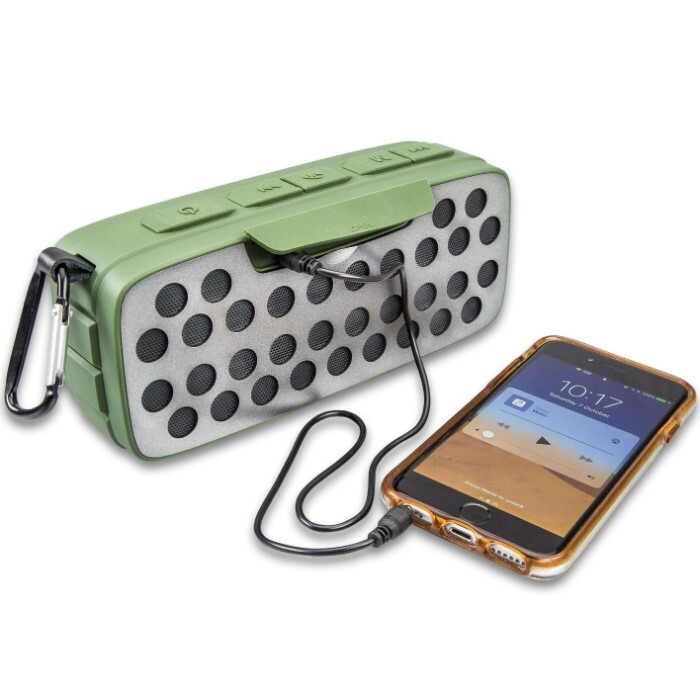 Included with the speaker are a micro USB charging cable, an AUX cord, a stainless steel carabiner and detailed instructions.